THE LUN BAWANG TRIBE WAS FORMALLY CALLED THE “MURUTS” BY THE BRITISH ADMINISTRATION BEFORE AND DURING THE COLONIAL DAYS.THE RAJAH BROOKE ADMINISTRATION REGARDED THE LUN BAWANGS AS ONE OF THE FIERCEST AND THE WORST OF ALL THE TRIBES THEY ATTEMPTED TO PACIFY. In 1900, Vyner Brooke brought a force of about a thousand men to go into the mountainous Lun bawang country hoping to catch the rebellious chiefs. They fought in the jungle but could not pin the natives chiefs because of the terrain and thick jungle.Although they failed to catch the chiefs, they burned about 20 long houses before they left the highlands. 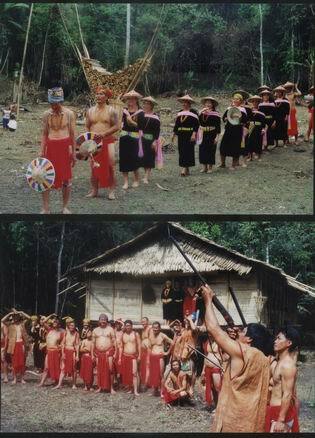 The Brooke administration would not permit other people to go up among the tribe for fear of being killed because these natives were fierce headhunters.When they left their old life ways and belief and embraced Jesus Christ, the Lun Bawang became the cleanest and the best tribe of Sarawak.Today, many Lun Bawang are highly educated. Every 1-3 of June every year, the Lun Bawang Association of Sarawak organizes “THE LUN BAWANG FESTIVAL- OR ACO IRAU LUN BAWANG”. and did barter trading as well. The Lun Bawang was regarded as notorious and rebellious even before the turn of the previous century. In 1900, Vyner Brooke led an expeditionary force to bring those rebels to heel but he could not capture them. In the end they were left on their on, and when smallpox epidemic and other diseases spread through the Lun Bawang country, almost two thirds were wipe out. Out of an estimated 17,000 people in 1889, only about 3000 were counted in 1930’s. Vyner Brooke initially refuse to allow missionaries to visit them for fear that they will be killed by them but when they were eventually allowed into the inland territory, they were welcomed by the worst tribe at that time. 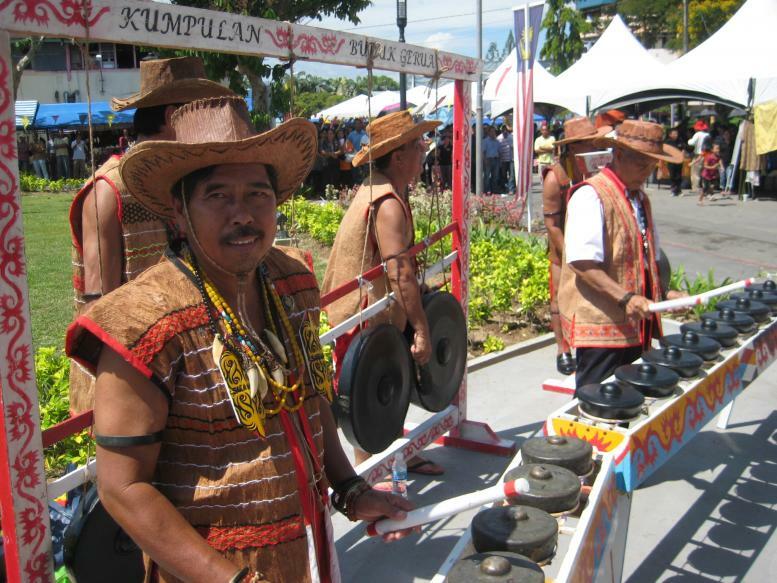 The Lun Bawang are mostly found in Limbang Division of Sarawak, Malaysia, especially in and around Lawas Town. Some notable and historical vilages are Long Semadoh, Ba Kelalan and Long Luping up in the highlands. These are beautiful villages, and widely claimed by visitors as the most beautiful places on earth. Peaceful, cool and natural with extremely friendly people. There are about over 25,000 in Malaysia with some in Kalimantan Indonesia. Some are highly educated and holding high posts in the various government department and private sectors.There are more than 20 lawyers, some doctors, engineers, teachers etc.. and for a small tribe, the ratio is very high when compare with the others.This year (2006) statistics recorded over 300 university graduates among the Lun Bawangs with hundred more diploma holders. Most if not all, are Borneo Evangelicals. The Brooke administration had recorded in the museum journals that the Lun Bawang house had been found to be the cleanest in Sarawak, after being regarded as the dirtiest.It was an indication of the great spiritual transformation taking place among the remaining Lun Bawang who survived the various epidemics that swept their region between 1900 to 1910. When Hudson Southwell and his friends built themselves a small hut in Sepangah, Limbang in 1928, a group of spiritualy hungry Lun Bawang visited them and became the first Lun Bawang from Trusan/Lawas to become Christians. These individuals went back and a great transformation swept the Lun Bawangf villages- they threw away their old ways, their rice wine and everything and any rituals connected with animism and ancient cultures. No other tribes in Borneo had done such before. The Lun Bawang tribe is referred by some visitors as one of the most hospitable people they came into contact.In the 1960’s and 1970’s, when they were still living in long houses, any visitor will be invited for breakfast, lunch or dinner as many times as there are families in the long house.For instant, if there are 30 different families in the long house, the visitor or visitors would be invited to eat 30 times.The visitor will be given food to bring when he leaves.In the not so distant past, any one can go up a long house and stay there for the night and they will be taken care of by the long house inhabitants. The origin of the Lun Bawang tribe is believed to be from central Borneo island.There appeared to be some similarity with the natives of Taiwan.The Lun Bawangs are tall and has a fair complexion. The presences of huge jars among the Lun Bawangs indicated that they did come into contact with the Chinese traders a long time ago.Barter trading existed between the Chinese and the Lun Bawang at a very early date, and the Brunei Malays also had some dealing with the Lun Bawangs although they did not trust each other very much. During these early times, the Lun Bawangs were a dangerous tribe, always on the war path, looking for heads of their enemies- who are themselves lun Bawangs from the other rival longhouses.Taking of heads was an indication of someone’s bravery, and maidens love such heroes. The Brooke administration called the Lun Bawang, the muruts, perhaps because they were referred by a white traveller to the Adang river basin as the people of the murud. Mount Murud was visible from the Adang Basin, which was an important Lun Bawang settlement before 1900. The Lun Bawang had enemies from left and right and was always clashing with the other natives.There were clashes with the kayans, malays, Brooke soldiers and of course among themselves. The Lun Bawang in the ancient days were pagan, believing in the spirits of the environment.There were taboos and practices that restrict their movements of which I will discuss later.They believed that the souls of the dead will go to mount Murud.Every time they passed by the great mountain, they have to be silent.When they farm, they will call the spirits from the mountain to bless their crops. The social and political structures were almost similar with the other natives, having social classes and communal organisational structure which was hereditary in nature.The village chief post was inherited and accorded with great respect by the village community.The longhouse community was closely knit due to the fact that everyone was related.Children or the younger generation were taught to respect their elders and follow whatever the parents say, even in the choice of marriage partner.There were unwritten code of conduct in the village, where every family adhere to.Breaking any of those codes will result in penalty such as compensation in the form of animals or items.The children were taught by their respective household certain skills, the boys were expect to do what the male community should do, such as hunting, collecting firewood etc. while the girls should be able to cook, look for ferns, be able to pound padi.Even nowadays girls are expected to be able to cook. Before Christianity, the Lun Bawangs were great drinkers of the rice wine.It was said that, most of the rice they stored were made into rice wine.The big jars were often used for the BURAK, as the rice wine was called.During any occassion, they will drink from the jars using a bamboo as straw.The bamboo straw was carved to indicate the level that a person can drink.That is why, in the book “Drunk before dawn”, it was mentioned that the Lun Bawang were drunk 180 days in the year!They smoked using long pipes too.Imagine every household having a big jar containing rice wine!In fact, during this period, their condition were sickly and vulnerable to all kinds of diseases. The Lun Bawang were shifting cultivators in the old days, but their farming activities were often hindered and ristricted by their beliefs of the supernatural world around them which came by way of timid animals in the jungle they come into contact.The bird called MENGEI was once feared by the community.For instance, before they clear a jungle, they have to call that bird.If it appeared and fly from the right direction, it means they can proceed.If not, they either wait or cancel it and start the whole process elsewhere. If they were given the green light, but in the process of clearing, a snake was killed, they have to stop.Even if they managed to clear the jungle, and burned it, but after burning, found a carcass of a snake- the have to abandon the their project and start somewhere else.Their movement were at the mercy of the wild animals too.For example, if during their journey, that bird flew on their left, they have to camp until the sign is favourable.If a snake happened to cross their path, they have to go back home or camp and wait or call for the bird to give them the required signs. According to them, a journey took them weeks or months because of this belief.Building a longhouse is often met with all kinds of taboos too. Whenever the Lun Bawang of the old days want to build a longhouse, a clearing must be made first. The bird has to be called first.Then when the clearing had been done, a group of people, especially the women and children were asked to bang all kinds of sound producing objects- to drown the cries or call of certain animals like barking deer or chase away animals so that these animals does not bring bad omen to the people. Suppose they heard a sound from a barking deer during the process of building, they have to stop work and find a new site elsewhere! Around Long Semadoh village, you can find some mounds in the shape of a crocodile somewhere deep in the jungle. The mound which is shaped like a crocodile portrayed the characteristics of the crocodile itself- its bravery, strength and toughness. Likewise, after a warrior had successfully taken an enemy’s head, a mound was made for him to celebrate his prowes and achievements. Usually the beautiful damsels and rice wine will make the celebration complete. Rice known as “bara perurut” was sometimes used instead of soil. It was shaped like the shape of a crocodile- this was usually the work of the upper class Lun Bawang in the old days. The presence of these crocodile mounds nowadays indicated that there was a long house nearby.This form of celebration was stopped when the tribe embraced Christianity. The Lun bawangs of old had great respect for the tradition of their ancestors.Marriage was an important institution which was upheld no matter what. Hence the introduction of the dowries still prevail today as a respect for the parents of the bride- for looking after their daughter before the marriage. After giving so much for the dowry, the husband will think many times before ever devorcing his wife- doing so will cause him to loose half of what he had given.Even to this day, you seldom hear Lun Bawang devorcing thier wives! Before marriage, the engagement process had to be followed. The suitor will ask for permission from his parents whether he can marry the girl or not. In most occassion, the parents decide and the young man will follow.If during the negotiation they heard a bananna tree collapse or dropped, the engagement is not permitted. Sometimes after the negotiation, the young man will fire his gun into the sky. If it produces sound, thats mean, the marriage will go a head.During the negotiation, the girl’s family will slaughter a pig for the visitors. If the visiting party was a few, may be a couple of chickens were slaughtered. In the old days, some engagement period last a few weeks, just to give times for the wedding ceremony to begin. If the two persons were from different long houses, a big celebration was in the offing, as two longhouses would be involved. Pigs were slaughtered, jars of BURAK prepared, long slice of pork fats were made ready for eating competition. The dowries were often in the form of big jars, farming implements, musical instruments such as gongs or some animals such as pigs. The celebration would include dancing, singing poetic songs from their oral tradition and of course, drinking rice wine which would get some drunk.My book contains some examples of the oral tradition. Because the LB community in the past put great emphasis on respect for tradition each family member would inculcate moral values into the heart of the young generation at an early age.The moment they can walk, they will be given simple task to perform, such as help to feed the chickens, carry pots, sweep the floor or arrange the food packs on the mat. They were asked not to act or speak disrespectfully to any family members in the long house.Any misdeed was usually punished by canning with the rottan from the father.The community was agriculture oriented so all kinds of work related to the farm must be learned by the younger siblings.Even making farming implements were of great importance. This in one way or another help keep up the great material traditions. Lazyness is a bad reputation.No one wants a person who is lazy.The parents who decide on who their siblings marry will not permit their daughters or sons to marry a person who is found to be lazy and unable to do expected tasks.So it was natural for parents to scout for those who are reputed to be hard working and polite.These were important assets! Hunting skills must be acquired too.Parents who had daughters prefer a young man who can hunt wild animals.Men prefer girls who can do household chores such as cooking. While beauty is sought, hardworking and politeness or gentleness were valuable assets for any girls of marriageable age. The Lun Bawang community was basically agricultural base and almost all activities evolve around the cultivation of padi.While most of the native communities in Sarawak were still practising shifting cultivation, the Lun Bawang had started wet paddy farms in the fertile basins in Ba Kelalan and Long Semadoh. Basic knowledge in farming are therefore important assets for any Lun Bawang in the old days.Hardworkingness is very important. Marriage among the Lunbawangs today are less under the influence of the parents, unlike in ancient times.Probably this is due to the modern lifestyle penetrating the Lun Bawang society.Obviously, the modern day Lun Bawang are still holding to the church tradition that it had acquired since 1930s. The dowries are still there, some had increased out of proportion and some cancelled all together.But the joyous wedding celebrations are still there, with added colours of course and plenty of modern day dancing and singing.The kelupis is still there and so are the pinaram and nune.The exchange of wedding gifts are maintained because these are important proof that a wedding had occurred. Interestingly, the Lun Bawang is a very conservative society in most areas.Quite independent and generally well mannered.You will never walk alone among the Lun Bawangs. I say independent because they do not depend on other people to give them food etc. They build huge church building out of their own pockets and you never hear any starving Lun Bawang around.They work hard in the farm. This attitude to life had existed since time immemorial. The Lun Bawang community, as I explained earlier has a unique culture- the culture of giving. That is why they are very hospitable to visitors. In the not so distant past,they give ration to travellers who put up for the night or two. They are known for giving gifts of all kinds to friends who visit them- an act of good will and gratitude and good heart.You see this culture during wedding ceremony where gifts were exchanged between the families. Those gifts are given by relatives as a show of love and support to their kin. Well their generosity is not only about the giving things but also in helping. They help in any function. In a wedding party, friends come to cook, to do all kinds of work to help the family concern.That is why such festivities are full of joy. TETEL means hearth or the fire place. It is placed in the kitchen and in the common room(sikang) of the long house.Around it, stories were told, plans discussed and the night is spend by chatting beside the warm glow of the fire. Friends meet to hear more stories.It is here, the oral tradition was continued.This fireplace is where information is obtained or given.The tetel symbolized community life.It continues the tradition of keeping the community close. The TETEL is an important aspect of community life.It keeps the community close together.Here the people communicate well.In the old days, when their surroundings were still covered by thick jungles, the tetel was useful by keeping the people warm. In the kitchen, the tetel is extremely important. Many kitchen implements and utensils were found either on top of the tetel or beside it, around it or just above the tetel itself.smoked meat were kept above the hearth to prevent it from decay.Fresh meat were smoked there. Smoked meat is called NARAR. The Burak or rice wine was once a very important element in the ancient Lun Bawang community.Part of their harvest went into the giant jars as rice wine or burak and they took great pride in drinking it until they lie flat on the floor. It is no surprise that quarrels and disputes were often the order of the day leading to more miseries and illness.They became quarrelsome and rough in nature. Obviously, they could not look after their health as well as their own family members.Based on historial facts, the Lun Bawang community was on the decline in the early 1900s until divine intervention through some Australian missionaries put this tribe back on their feet. After 1930, the rice wine was gone and all the evil with it. Chased away by the power of God and the determination of the new believers, the Lun Bawang community saw a great transformation. It was also a revival of untold dimension among the community. Between 1950 and 1980 any form of strong drink were not heard among the community. But in the late 1980s, the ancient spirits of the Burak once again turn their attention to the Lun Bawang, especially the young generation.It was no more Burak but easily purchased drinks from the market. Come any celebration or after a game, you will see what I mean. And as the bible says, those who love the wine until they get drunk , poverty and difficulties will never leave them.It stings like a poison from a viper.Take heed my fellow countrymen! PERUYUD,MUSANG,NGERUPEN,NGUMUN are some forms of working together or helping one another in the farm. The spirit of cooperation existed since time immemorial. The labourious work in the farm is made easier, lighter and in a shorter time frame because of these systems of work.These forms of cooperation bring the people closer in their relationship to one another.The four types of cooperation are distinct, although they serve the same purpose. Rice wine is made, right after harvest or even before, the ancient jars were often used.Bamboo were used as drinking straw, and strings were tied to the bamboo straw to show the level one has to reach as they compete to drink. Difficult to imagine these feats did happened among the Lun Bawang before the arrivals of the Christian missionaries.The Brookes had minimized the tribes warfaring activities and they turned to the rice wine or BURAK to pass the time or to challenge each others. 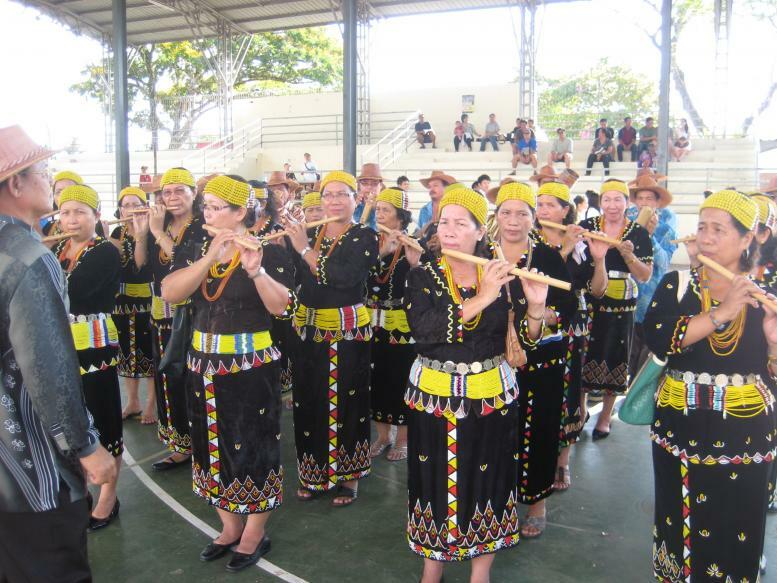 Long Semado, is a village of historical and cultural significance. It has lots of things to offer for those who are tired of the town or cities. Ba Kelalan village is close to the Kalimantan indonesian border. Like Long Semado, it is comprised of many villages. Long Luping is well known in the past. The Lun Bawang heroes fought in Long Luping. Folklore about Upai Semaring, Temuing centres around Luping river valley. The valley of Long Semadoh is beautiful, especially before harvest when all you see is a sea of yellow paddy grains. there are two major villages in the Lun Bawang Highlands. They are Long semadoh and Ba Kelalan. For instance, Long Semadoh comprises of Long Semadoh A, Long Semadoh Naseb or B, Long Talingan, Puneng Trusan, Long Tanid, Lg Beluyu, Long Kerabangan and Airport. Ba Kelalan covers a number of villages too. Siuated high in the interior of Sarawak, in beautiful valleys setting, the highland villages offer enchanting and natural environment you would not find elsewhere. Most of the surroundings are wide stretched paddy fields and of short grasses trimmed by buffaloes. One can see an almost Golf like courses in the highland villages. Its cool climate, especially at night does not require air conditioned rooms. The main river, the Trusan river runs through the valleys to the sea coast at Sundar. deeper study is required on the oral tradition. Like all the other tribes, the challenges we face are what the world is offering at the moment. Formerly, the young were brought up accordingly based on the LB Culture, which has some good values. Many of the young LB who have families of their own are themselves lost, and they might drag their little ones away from the faith. This is a big challenges. Few pastors or prominent people speak against sins that are committed in the community. This will give a message to the young that all is well and no body dare to rebuke or stop anyone from committing sins. Some leaders are themselves not strong in their faith so they become more of a stumbling block than an inspiration. The truth is not really taught in the church and sins are not spoken of against in the pulpit. The younger community do not really know what is wrong and what is right. What is sin, many people do not know. Most young people believes that all religions are leading to heaven- which of course is WRONG! That is why they marry those of other faith. when the family is weak, you can expect the children to be out of control. Where there is no proper up bringing, you can expect the young to do poorly in the schools. When they do not perform in schools, you will know that their future will be bleak. They will face difficulties in life and the consequences are frghtening- broken families, broken homes, thief, quarrels etc. The Lun Bawang must be serious of their education to stay a float. Parents must frist of all fear the Lord so that their children will be blessed, just like our late parents who were faithful to God and hence, we reap the blessings. While intermarriage has some advantages, the challenges would be the language use by the children. Most children nowadays speak either in English or Malay and not their mother tongue. A person who cannot speak his own dialect has already lost his culture. Language is what makes us different from the others. Rhat is why we are categorized by the language we speak. A Lun Bawang is suppose to speak Lun Bawang. This is the greatest challenge. Preschool must be taught in the mother tongue to prevent extinction of race or culture. In any society, the family unit is the most important institution. Others are secondary, because, the character of a person is first developed at home. We get it right at home, your child is safe out there. That is why, if we made full use of our time and space at home- especially the first 7 years, the child is still yours even until the end. If not, the child will be facing all kinds of challenges that will shape his or character. 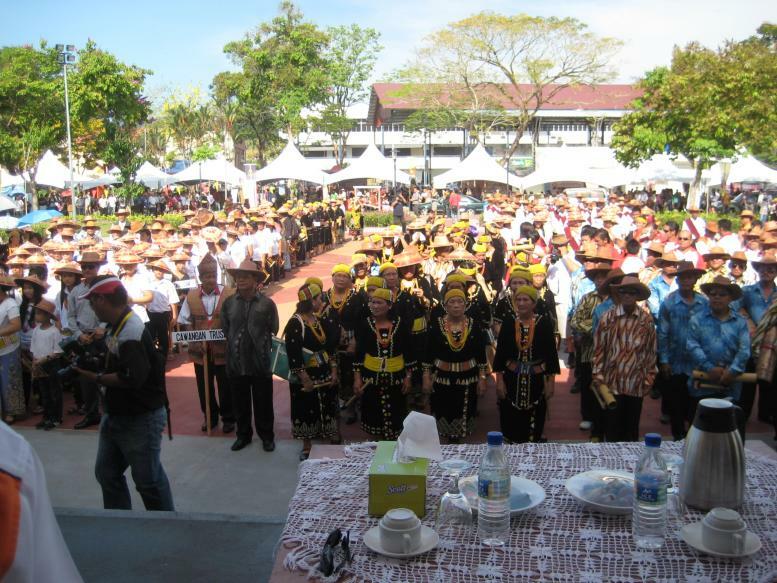 The lun Bawang community in the past was very concern about the upbringing of their offsprings. They taught the universal values and as a result, the child is well behave and can manage himself or herself well outside the family eventually. They were trained in character development necessary for a married life. In a married life, a person must be able to manage the family well and that involves all aspect of life, including work, relationships etc. A young girl is taught to do household chores, like washing plates, carry water, cooking and cleaning the house. The boy is brought to the work place by the father. He is expected to know the types of trees suitable for fire wood, for instance. He is expected to do all the things a male is expected to do. Must be hard working and courteous. All this are preparing him for a family life too.